We hereby present the you with results of our research project ‘Towards shared interests between migrant and local workers’. The prominent component has been a series of interviews conducted in five EU countries. Based on the research outputs, three policy briefs were produced with following topics: precarisation and social citizenship, competition and labour standards, and solidarity in fragmented workplaces. New research focusing on the patterns of wide-spread Ukrainian labour migration to Visegard Group (V4) countries unveils a common trend of unfavourable working conditions for migrant workers. Labour rights violations, precarious employment and substandard working conditions amongst temporary and low-skilled Ukranian workers are of no exception in Hungary, Slovakia, Poland and Czech Republic despite heterogeneous migration patterns between the countries. This publication on migration in Central Europe gives a new perspective on labour migration to Western Europe, consisting of academic pieces and excerpts of blogs from Central European migrants living in Western countries. The publication, which is to some extent experimental, seeks to answer following questions: who are the people leaving their countries to work abroad? How are migrants form Eastern Europe perceived in Western countries? How does labour migration influence the economic situation of sending and receiving countries? Which migrants move to Visegrad countries? ISBN 978-80-239-9307-3 The publication was realised with financial assistance of International Visegrad Fund and European Union. There is a possibility to get the publication for free in the office of the Multicultural Centre Prague. A bilingual English-Czech catalogue from the exhibition "Práce je jinde / Work is elswhere" is the main result of the Multicultural Centre Prague´s project on labour migration in which 32 photographers and researchers took part. The project participants worked in groups of two (a photographer and a researcher) during the summer of 2006, documenting sixteen stories. In the centre of these stories are people who for various reasons travel in various directions to find work in Europe. The participants were not trying to find exceptional individual stories but rather to look into stories and travel routes that represent important streams of labour migration in today's Europe. The catalogue is for sale in the Multicultural Centre Prague or can be ordered at: www.plotki.net/wie. At the centre of the sociological research of the Multicultural Centre Prague, were the immigrants' experiences with mobility in the Czech labour market. This included details of advancement possibilities and strategies to acquire and maintain employment. The research followed the position of first generation immigrants from non-EU countries from the 1990s until today. The experiences of immigrants from the "East" were contrasted with those of privileged migrants from the USA. 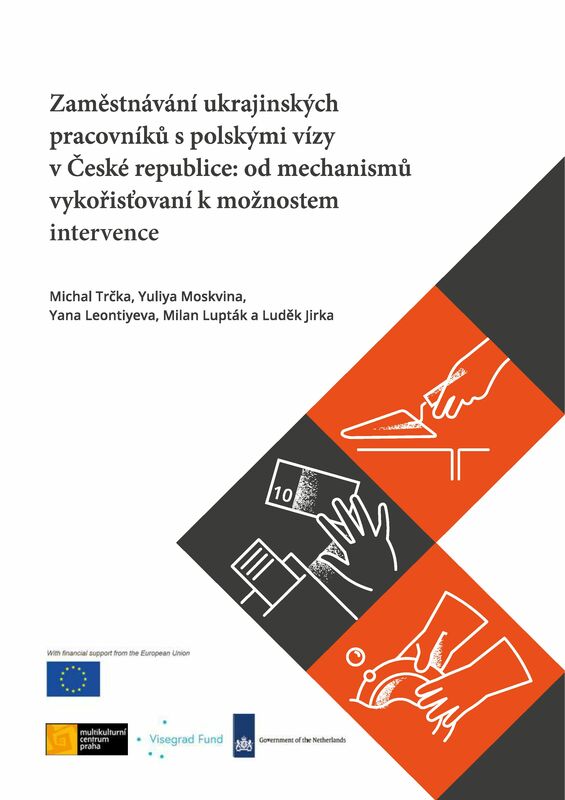 The research was financed within the larger project "Labour Market and Foreigners" by the EU and the Czech budget (Phare 2003 RLZ). The publication released by the Multicultural Center Prague looks into various, previously unexplored aspects of migration processes in the region, making them available to an English-reading audience. It originated from a series of papers presented at the Workshop on Developments and Patterns of Migration Processes in Central and Eastern Europe (see www.migrationonline.cz/workshop) organised at the Faculty of Humanities of Charles University in Prague in August 2005.